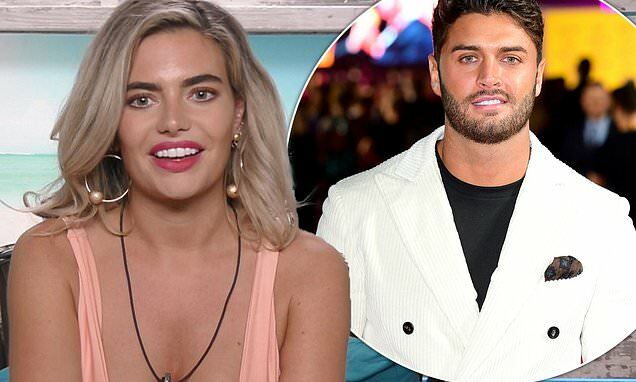 Megan Barton Hanson has reflected on the recent death of fellow Love Island star Mike Thalassitis. The reality star, 25, said that, like Mike, she felt she had been cast in the role of a 'pantomime villain' on the ITV2 series and 'always understood' there was a high price to pay for fame. Although she did not know Mike personally, Megan admitted she broke down in tears when she learned of his death. Writing in The Sun, Megan said that even if a reality star embraces the larger than life persona they develop, like she thinks Mike did, it is still not a true reflection of who they are. She said: 'When I came out of the villa ITV sat down with me and went through everything that had happened to make sure I was prepared but really – how can you be? 'At the end of the day I was just an ordinary girl who had been cast as a pantomime villain because we hooked up when he was still with Laura - but my boyfriend Wes [Nelson] was the golden boy. Metropolitan Police confirmed that Mike, 26, was found hanged in a park in Edmonton, North London on Saturday morning. Mike's manager confirmed the shock news of his passing later that evening. Megan also opened up about the vitriol she regularly receives from online trolls. She said that while many reality stars look like they are living the high life based on their social media feeds, they can still sometimes come home from swanky parties feeling alone and isolated.